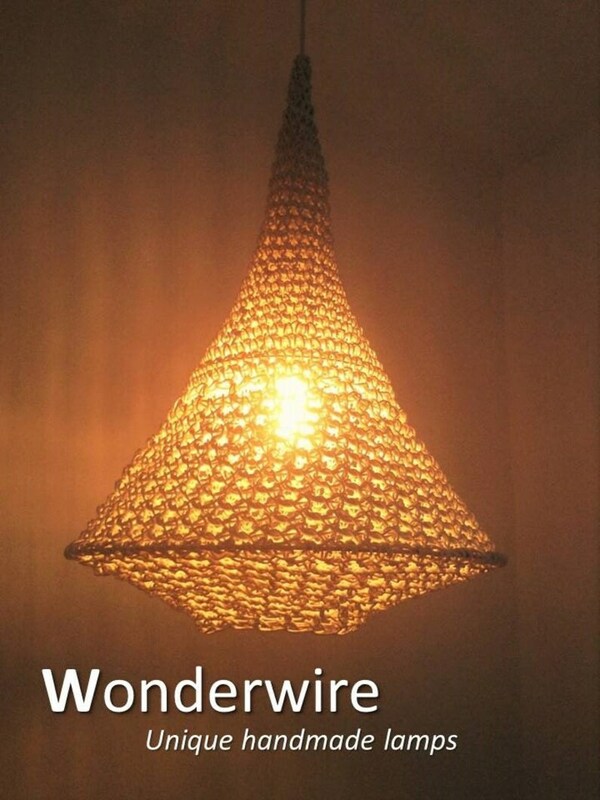 To make this handmade pendant lamp I used a crochet/hooking . The Tower chandelier contains almost 250 meters of single electric wire. The lamp gives great light effect depending on the bulb you use, and is a true eye catcher. Included is a luxury metal ceiling cup and it can be adjusted in height through a strain relief.